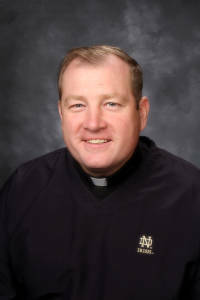 Father Ben is a native of Idaho having been raised in Cottonwood, Idaho. After high school, he attended Lewis Clark State College in Lewiston, Idaho and found his calling to the priesthood and his educational development at Mount Angel Seminary in Oregon. He has had a number of assignments within the Diocese of Boise including Holy Apostles, Risen Christ, the parish in Mountain Home, and now St. Mark’s parish.He is an avid hunter and outdoors “person” and loves encouraging the youth of our community in their spiritual walk with the Lord.